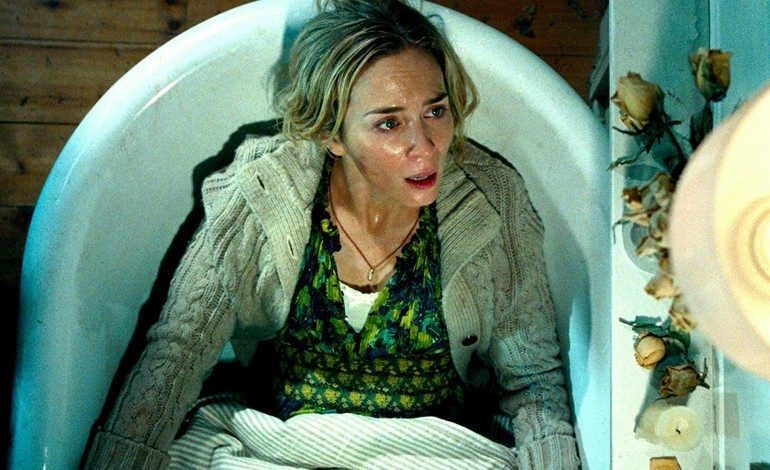 ‘A Quiet Place’ Urges You to Never Make a Sound in New Trailer! Supernatural thrillers create a sense of unease and tension with films as The Sixth Sense and Jacob’s Ladder. Now John Krasinski (NBC’s The Office) sits in the director’s chair to bring us a story where silence is the key to survival. A Quiet Place tells the story of a family who must remain quiet for fear that a supernatural force will attack when a sound is heard. The family communicates using sign language after this unknown force has attacked all over the world. The film stars Krasinski, Emily Blunt (Sicario), Noah Jupe (Suburbicon), and Millicent Simmonds (Wonderstruck). Scott Beck and Bryan Woods (Nightlight) wrote the script in 2016 and soon it came across Krasinski. He became interested after learning that the family involved is protecting their children, something that hit home especially as Krasinski and Blunt are married in real life, sharing two children. Platinum Dunes and Paramount Pictures will be producing the film, along with the screenwriters. This will be the third directorial credit for Krasinski and his first major studio feature. A Quiet Place will premiere at the South by Southwest Film Festival as the opening-night film on March 9th. A Quiet Place will see its wide distribution on April 6th. If they hear you, they hunt you. Check out the intense trailer below.